Tonight is supposed to be literally the night before Christmas for some Apple customers, as they wait (and sleep) by the front door waiting for their shiny new iPhone XS and iPhone XS Max pre-orders to arrive tomorrow. However, some customers are seeing some rescheduled delivery dates of Monday, September 24 with their UPS tracking, leading to some confusion. Why? 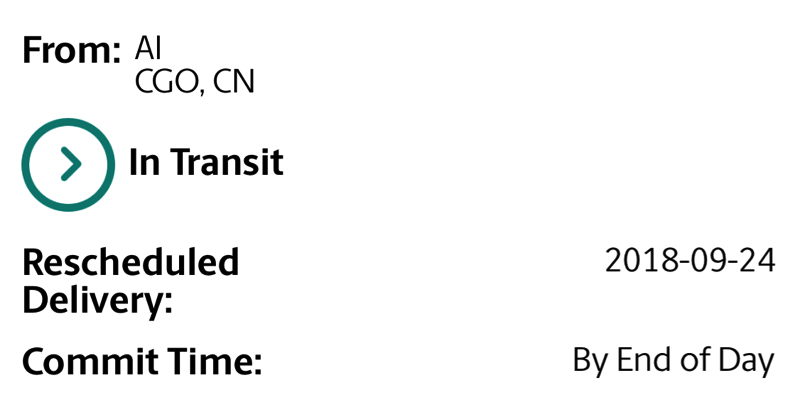 Because their Apple tracking is showing a delivery date still of Friday, September 21. Our own iPhone XS Max pre-order is still showing a September 21 delivery date from both Apple and UPS. Our phone just landed in Richmond, BC, and should make its way to Victoria for tomorrow for a delivery by the end of the day. If you’re showing a rescheduled delivery date of September 24, it still may be too early to tell if it’s actually true or not. Wait until at least tomorrow and see if there are any tracking changes in the AM. If there aren’t any by the early afternoon, just drown your sorrows over the weekend with a few pints of Haagen Daz and a Netflix marathon (we won’t judge you). Did your iPhone XS or iPhone XS Max delivery see a rescheduled date to Monday?